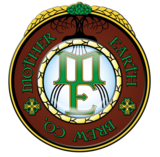 Originally brewed as Mother Earth Four Seasons of Mother Earth: Winter 2015. Sin-Tax Imperial Peanut Butter Stout aged in Bourbon Barrels. Rebrewed since 2015.